Swati, who doesn't use a surname, was a cabin crew on Air India's long-haul Boeing 787 and Boeing 777 flights, but for nearly a month now she has been deputed with Air India's integration department. 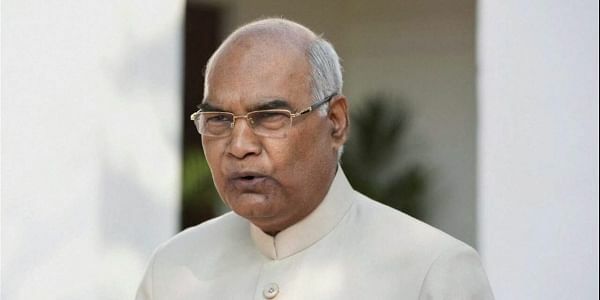 NEW DELHI: President Ram Nath Kovind's daughter Swati, who was an air hostess with national carrier Air India, has been assigned ground duties because of security reasons, according to the airline's spokesperson. Swati, who doesn't use a surname, was a cabin crew on Air India's long-haul Boeing 787 and Boeing 777 flights, but for nearly a month now she has been deputed with Air India's integration department at the airline's headquarters here, the official said. The department oversees human resource integration of erstwhile Indian Airlines and Air India since their merger in 2007. "As a President's daughter I don't think she can fly as a crew with security personnel around. It is not possible to block so many passenger seats," an airline source explained.